Kick your feet up and relax with the Rectangular Ottoman. After a long day nothing feels better then being able to come home and relax. The ottoman is the perfect size to fit in front of your favorite chair. 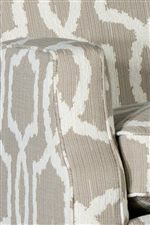 The Ottoman features welt cording and stands on tall tapered legs. 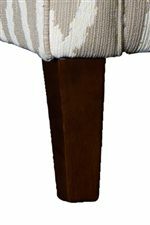 The 3725 Rectangular Ottoman w/ Tapered Legs by Mayo at Knight Furniture & Mattress in the Sherman, Gainesville, Texoma Texas area. Product availability may vary. Contact us for the most current availability on this product. The 3725 collection is a great option if you are looking for furniture in the Sherman, Gainesville, Texoma Texas area.